Looks like Triumph could be bringing back one of the most important names in its history and we’re ready for it. The Trident has played an important part 50 years ago for the manufacturer and could be about to set yet another milestone. Rumor has it that the return of the famous nameplate could also introduce a new technology. Half a century ago, Triumph introduced the Trident, also known as the BSA Rocket 3, the brands’ first superbike. The story goes that the model was technically ready in 1965. A launch then would have meant pulling the rug from under Honda’s wheels and awarding the Trident and Rocket 3 the coveted title of “first superbike”, powered by a triple of all things. Instead, significant internal delays (read: wasted time) pushed the actual launch date of the model to 1968. By then, the CB750 Four had already taken the market by storm, leaving the Trident to live in the shadows. Today, rumor has it that Triumph could be about to bring the nameplate back to its lineup. 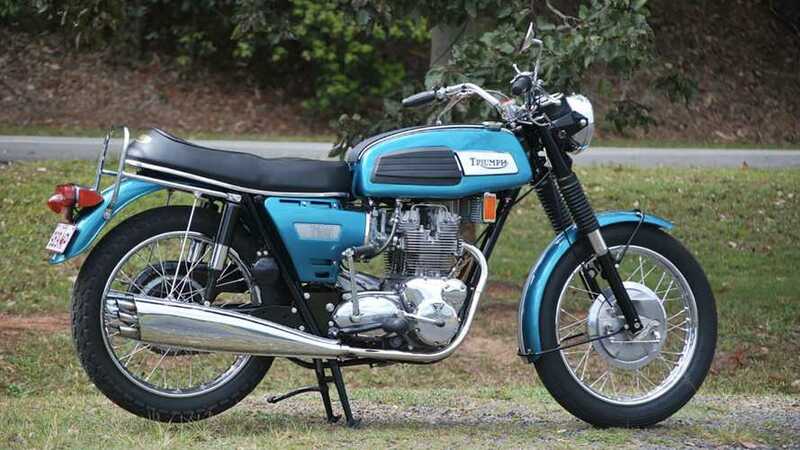 According to European trademark documents filed by Triumph Designs Limited—a parent branch of Triumph Motorcycles—the name “Trident” has been reserved in a number of classes including, of course, motorcycles, but also gear, electric components, maintenance, etc. Triumph has definitely covered all the bases. Beyond that, according to Morebikes.com, the rumor states that the return of the Trident could also mark the beginning of a new era for the British manufacturer: the era of electric powertrains. While we did dig out the actual trademark for the “Trident” naming, there was no mention of an electric motorcycle. Yet. Until we do know for sure, Triumph looks about ready to drop yet another model in its lineup, we know that much. After two new additions to the Royal British family in 2018 (namely the Scrambler and the Speed Twin), whether the Trident is electric or not, we look forward yet another newcomer to the family.